How can I edit a Coupon Marketing Plan? 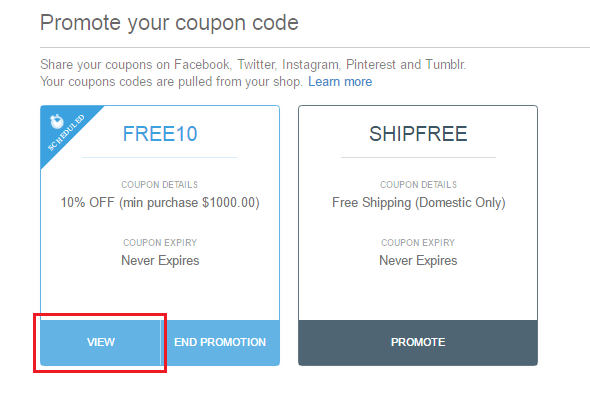 Go to Coupon Code under Marketing in your Socioh dashboard. 2. Click on the View button. 3. 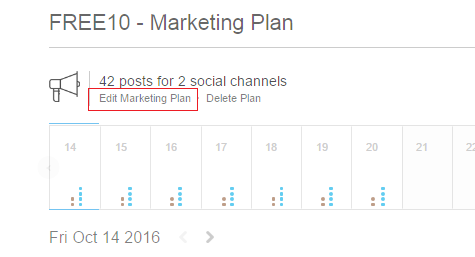 Click on ‘Edit Marketing Plan’ in the top section. 4. You can edit the time and text for channels under Social Channel Settings by going to the channel for which you want to make edits. To make changes for a channel that wasn't a part of your original campaign, first activate it by checking the box next to it. However, to make changes to a channel that is a part of an active campaign, first stop the marketing plan for it. 5. Re-create your marketing plan and don't forget to Save it. How can I end a Coupon promotion campaign (Marketing Plan)? How can I edit a social media post?